Quang Ninh’s provincial authorities in Ha Long City have requested tourism service providers on Ha Long Bay to list their service prices in Vietnamese, English and Chinese. On October 27, Ha Long City People’s Committee issued a document on tightening control over the management of tourism services. According to the document, individuals and organisations which provide tourism services on Ha Long Bay have to list their services prices in Vietnamese, English and Chinese. Goods must be sold in line with the listed prices. Any service provider which does not list their prices as regulated and co-operates with travel agencies or tour guides to overcharge customers will be suspended at least for three months. The installation of the listed price sign-boards must be completed before November 10. 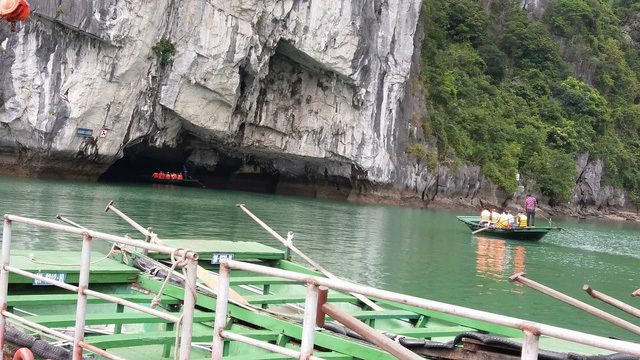 Under a decision issued by Quang Ninh Province’s authorities, from April 1 this year, the new fees for five sightseeing routes in Ha Long and Bai Tu Long Bays range between VND200,000 – 250,000 (USD 9-11) per route. Visitors had to pay an entrance fee of VND120,000 and additional fees for each site they visited, ranging from VND 30,000 – 50,000 per site in the past. The province expects to earn a record VND1 trillion (USD45.5 million) from the entrance fees to the bay this year.